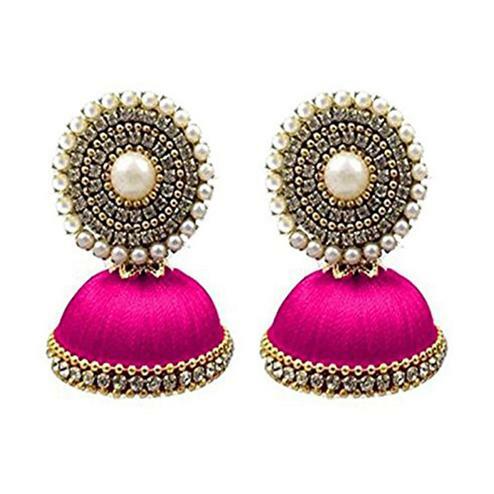 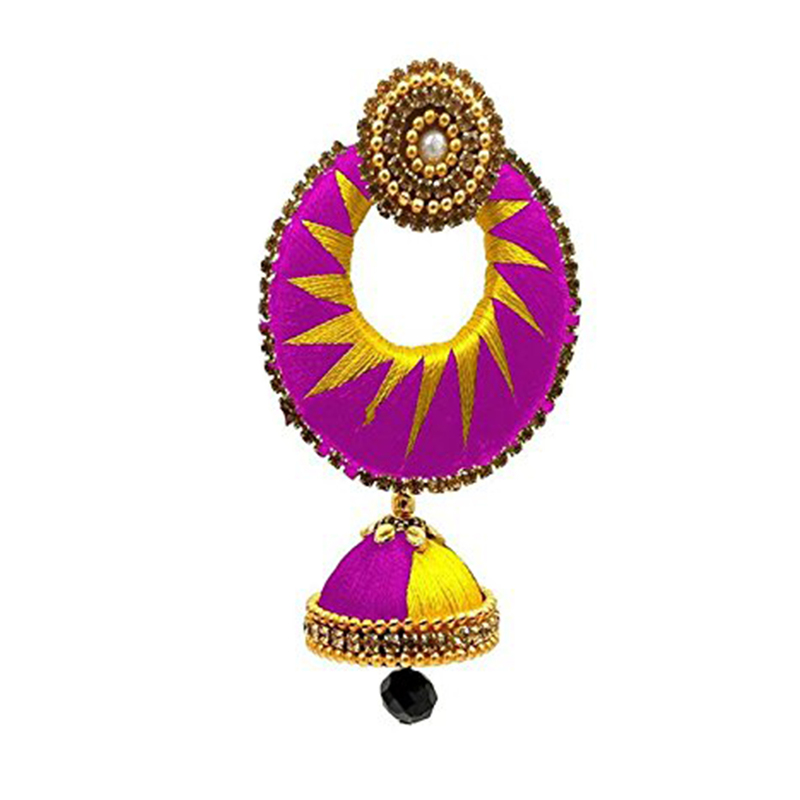 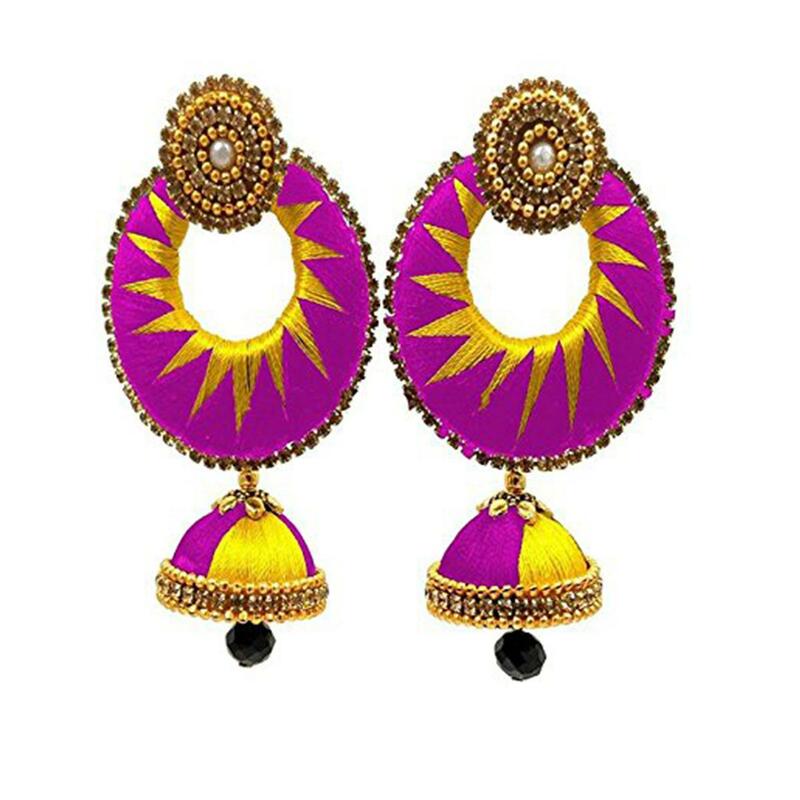 Look feminine and trendy by draping this pink & yellow colored set of earrings pairing it with same or contrasting colored traditional attire. 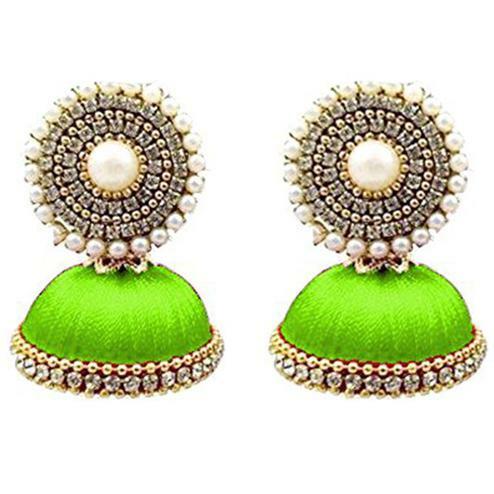 This earring set is made by silk thread beautified with stone work. 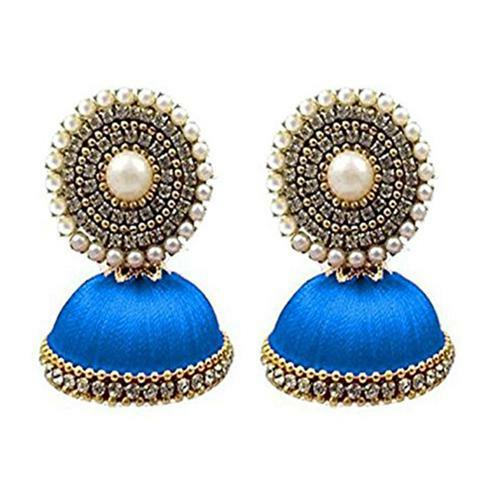 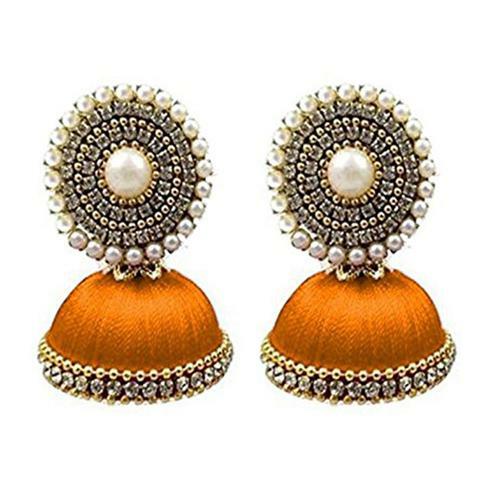 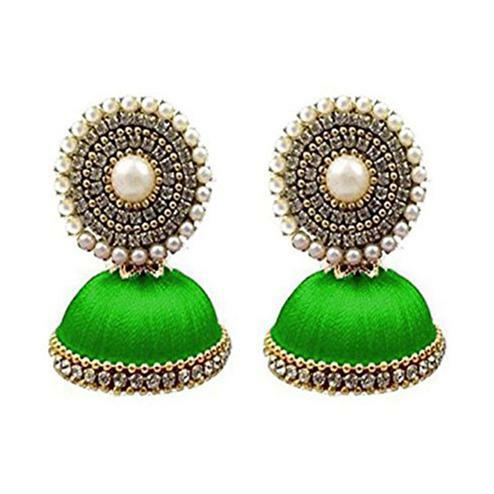 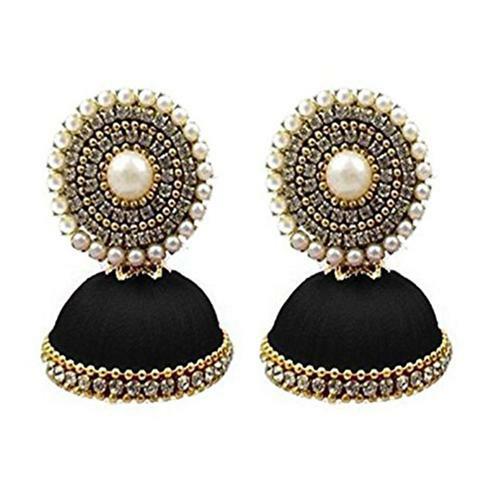 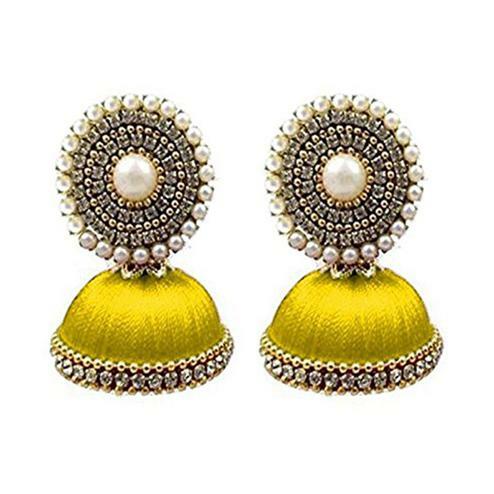 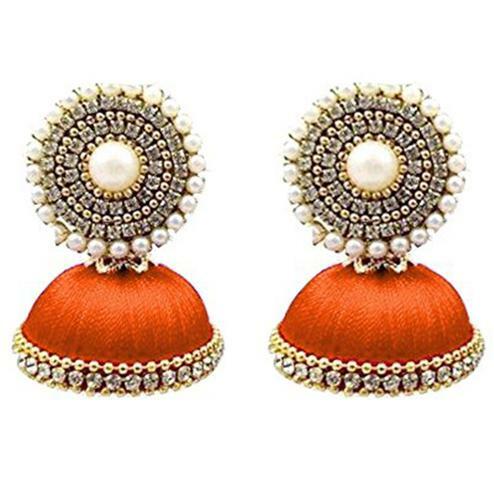 This pretty can be paired with simple kurti or even with heavy dress in same or contrasting color, It's lightweight & perfect for weddings, party & formal occasions.Buy this lovely set of earrings now. Buy this lovely pair now.